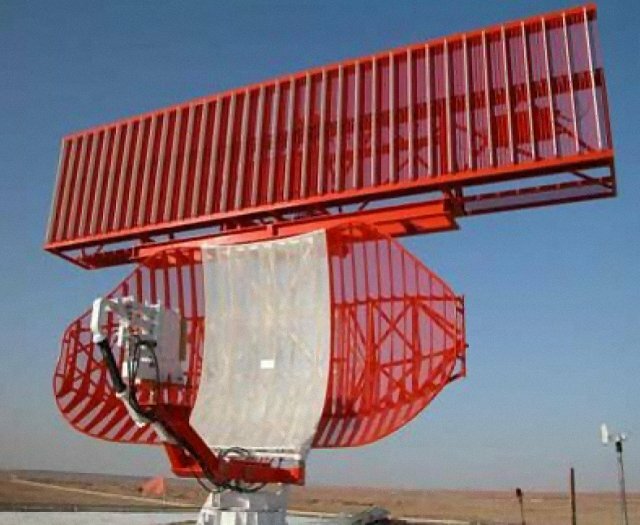 The ATCR-33S DPC is an ATC-radar, which is designed in a consistent modular construction. Depending on the required maximum range this ATC-Radar is fitted with 8, 16, or 32 solid state transmitter modules. It may use either a parabolic reflector antenna or a phased array of type ALE3x5. On top of the primary antenna is mounted the monopulse LVA-antenna of the two-channel redundant secondary radar. The radar uses different carrier frequencies for the different modes Long-Range and Short-Range The receivers intermediate frequency bandwith is	4 MHz. The I&Q- phase detektor works wit a band width of 1 MHz. The radar is fitted with a digital Radar signal processor that makes the pulse compression. It uses four different Doppler-Filter banks with each 6 (optional:10) Doppler filters. The False alarm rate is adapted in each Doppler filter channel and is additionally optimized by a statistical “Clear-Day-Map” and a dynamic cluttermap. The sinal processor uses the method of Centre of Mass Correlation. An integrated (BITE) checks all expected values of amplitudes, power and standing-wave-ratios, it controls the power management and the temperature in the electronic racks, the four independent receiver channels may use redundantly by the BITE. The radar got an integrated Weather channel. This one can generates a weather map using six different intensities of the Reflectivity. The ATCR 33S is used in many airports in the world.